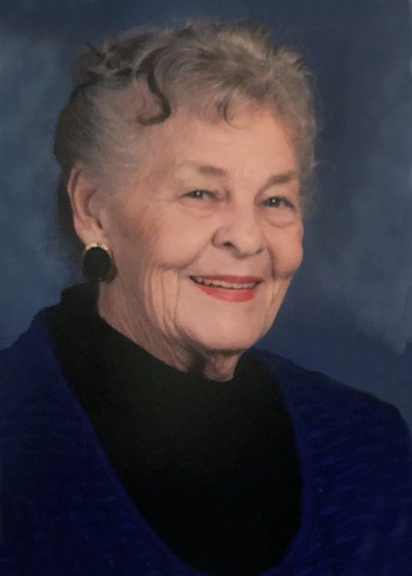 BLOODSWORTH, Jane Everitt, age 82, of Beaumont, went to be with the Lord on Thursday, February 7, 2019. Born February 3, 1937, to Ellen Jane and Oscar Clifton Everitt in Marshall, Texas where she lived until her family moved first to Port Arthur where she attended Thomas Jefferson High School and then to Beaumont where she graduated from South Park High in 1955. It was at South Park High School that she first cultivated lifelong friendships with a group of girls fondly referred to as “The Greenie Girls”. Jane married Johnnie, the love of her life for more than sixty-four years, and together they lovingly raised their family of seven children. She worked for Anesthesia Associates of Beaumont until 1993 when she retired from her position as office manager. Jane resided in the Amelia area of Beaumont until her untimely death last Thursday. Jane’s unconditional devotion to family and friends could be seen in countless acts of kindness throughout her life. Family and friends adored her competitive spirit, whether it was fishing or dominoes. Known for her homemade goods, Jane enjoyed canning home-grown fruits and vegetables. Crocheting and quilting were favorite past times, which she developed into a ministry at her home church known as Helping Hands Ministries, providing blankets, caps, scarves, etc. to local shelters, retirement centers, and hospital nurseries. Her beach house at Crystal Beach was her favorite getaway and home to her trophy “Redfish” until its demise during Hurricane Ike. She is survived by and will be greatly missed by her husband, Johnnie James Bloodsworth, Jr., of Beaumont; her children, Beth French and her husband, Bob, of College Station; Becky Bloodsworth; James “Bubba” Bloodsworth and his wife, Sherrie; Paul Bloodsworth; Stephen Bloodsworth; and Michael Bloodsworth, all of Beaumont; Sarah Milstead and her husband, Mark, of Houston; her brother, Oscar Everitt and his wife, Bertha, of Baton Rouge, Louisiana; sisters, Linda Humphries and her husband, James, of Beaumont; and Ann Thompson of Little Cypress; brother-in-law, E.J. Booker of Beaumont; grandchildren, Phillip French of Nederland, Colorado; Betsy Bishop and her husband, Jared, of Springfield, Virginia; Matthew Bloodsworth, of Beaumont, Adam Bloodsworth, of Nederland; Angelia Gerhard and her husband, Stephen, of Brenham; Will Thompson, Aaron Thompson, and Luke Milstead, all of Houston; and Michael Bloodsworth, Jr. and his wife, Chelsea, of Columbia, Missouri; six great-grandchildren; and thirteen nieces and nephews. Jane is preceded in death by her infant son, Mark Everitt Bloodsworth; parents, Ellen Jane Morley Everitt and Oscar Clifton Everitt; sister-in-law, Zelta Booker: and one nephew. A gathering of Mrs. Bloodsworth’s family and friends will be held from 5:00 p.m. until 7:00 p.m., Monday, February 11, 2019, at Broussard’s, 1605 North Major Drive, Beaumont. Her funeral service will be 11:00 a.m., Tuesday, February 12, 2019, at Amelia Baptist Church, 8055 Brighton Street, Beaumont, with her interment to follow at Haven of Rest Cemetery, Highway 90 West at Greenpond Road, Beaumont. In lieu of flowers, contributions may be made to Helping Hands Ministries or Amelia Baptist Church, both at 8055 Brighton Street, Beaumont, Texas 77707. Your family is in our thoughts and prayers! Sending prayers for comfort to all of you, Becky & Beth. May you feel strength in remembering all of the wonderful times you had together with your sweet mom. You now gained a guardian angel. Johnnie and family, sending prayers of comfort for your loss. May she Rest In Peace. May the love of family and friends comfort you during these difficult days, our most heartfelt condolences. I heard about your mom an wanted to say how sorry I was to hear the news. One of the sweetest ladies I can remember growing up always at all the functions supporting her kids an taking care of everyone. I know she will be missed however we all know she is in a much better place with our father.